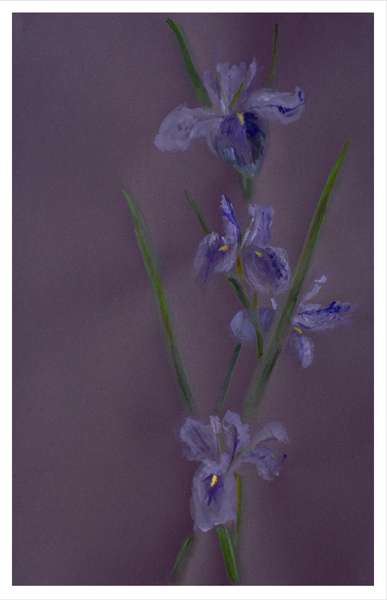 The Louisiana Iris is the most beautiful and the most challenging flower I have attempted to capture in paint. Its petal colors fade with the day and a flower seen in one hour may change and be a different looking blossom in the next. 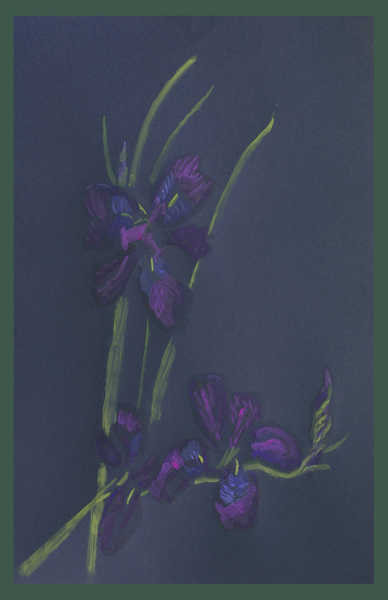 It is best seen at dawn when its colors are most vibrant and fades as the petals unfurl like an umbrella as the sun rises. To see the best blooms, one must face a misty, humid early morning as the sun first hits the flowers. The effect is magical. One is aware that this flower is alive and appears like some mystical dancer swirling in her new found dancing skirts twirling around in front of an imaginary mirror - and it happens to be you! 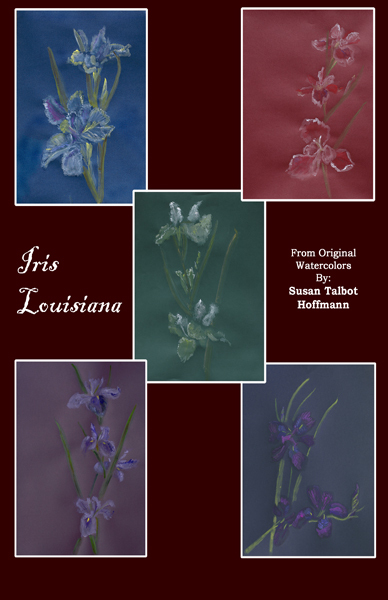 The Louisiana Iris grows best in dampness, near or in ponds or swamps with their attendant mosquitoes and bugs of every kind and by the time a painting is completed one has several red welt bug bites to show for the excursion. This is often the case since the flower stalks mostly bloom within a foot from the ground and one sets up low, sitting in muddy ground with the support propped up on chair legs. One says a prayer that the whole setup doesn't topple into the water before the painting is completed! 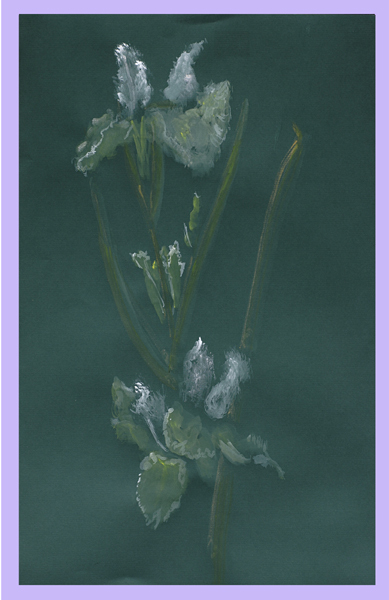 One carefully begins to make strokes that will not vibrate too much and shift the painting when it re-settles in place. The form is often ruffled at the edges and one is forced to follow the resulting pleating occurring up onto the form of the whole petal. The petals are themselves crinkled and look as if they are fresh all cotton garments in need of starching and ironing. 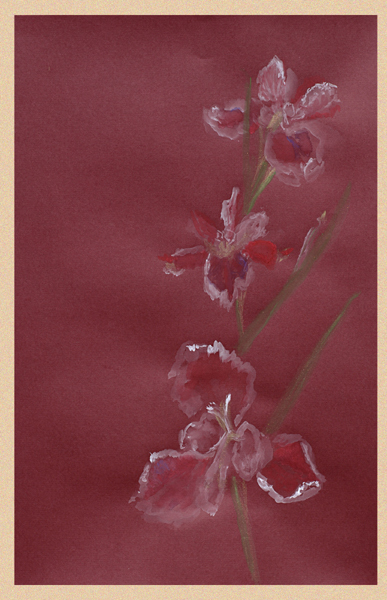 It becomes inappropriate to portray a single petal with no variation in shading! A mere photograph will not begin to capture these subtleties. 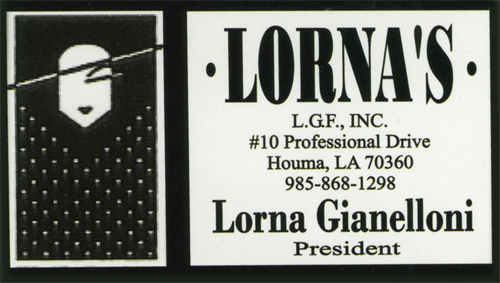 Sunlight, moisture and finely textured surfaces are inadequately captured on present day film. These observations must be felt firsthand with muddy shoes, moist clothing and painting fingers that must often scratch the occasional insect bite. 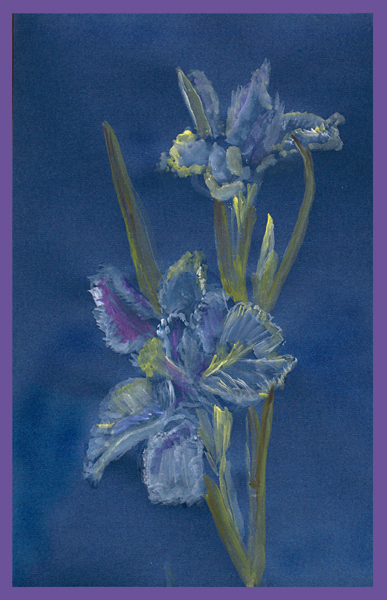 This flower's presence on earth must be felt as the Louisiana Iris welcomes you to its own unique world. 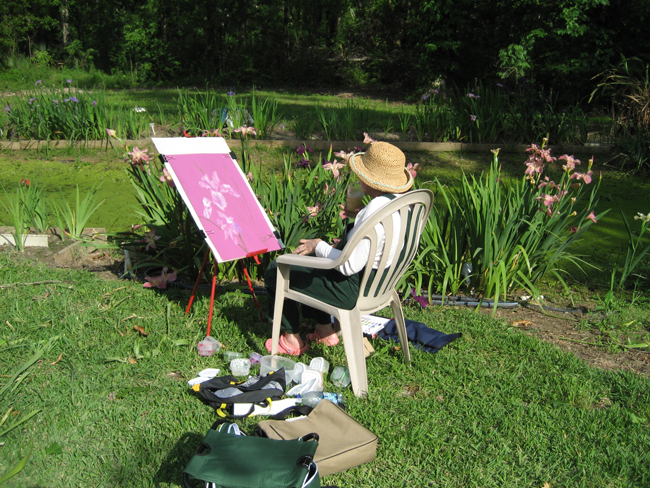 Such was the world of Bois d'Arc Iris farms in Schriever, Louisiana as I painted the Iris growing there. I was lucky enough to be there as they were blooming! Thanks for Your wonderful Creation!